You can get almost anything you want in an outdoor Chinese market. I picked up some wonderfully warm wool socks for two yuen (25 cents) a pair. There was all manner of produce, including 6 inch turnips and mushrooms which were 5 inches in diameter. 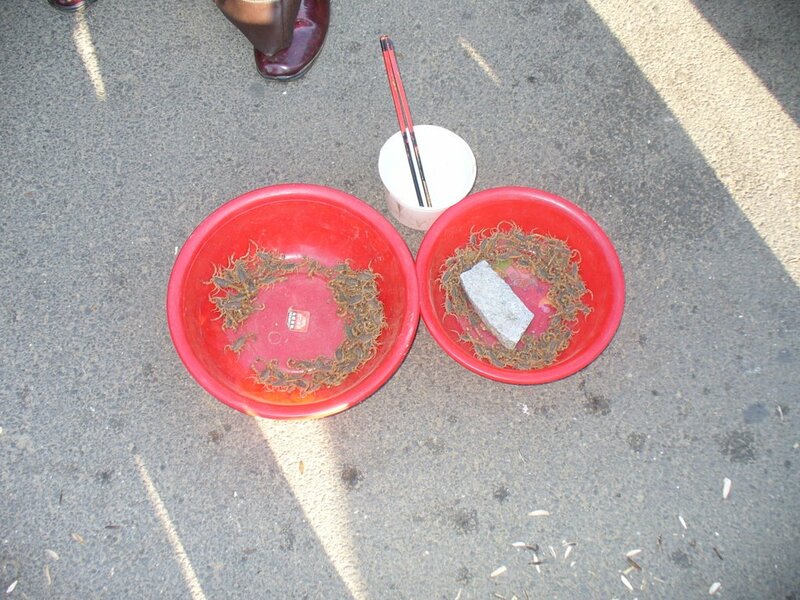 You could purchase live scorpions (above), which are an important ingredient in Chinese medicine. A man tried to sell me a beautiful baby Labrador retriever for 20 yuen ($2.50), and I probably could have talked him down to half that. Alas! Considerations of what my cats would think, what my husband would think, and what the puppy himself would think during the weeks of quarantine, prevented me from making the purchase. 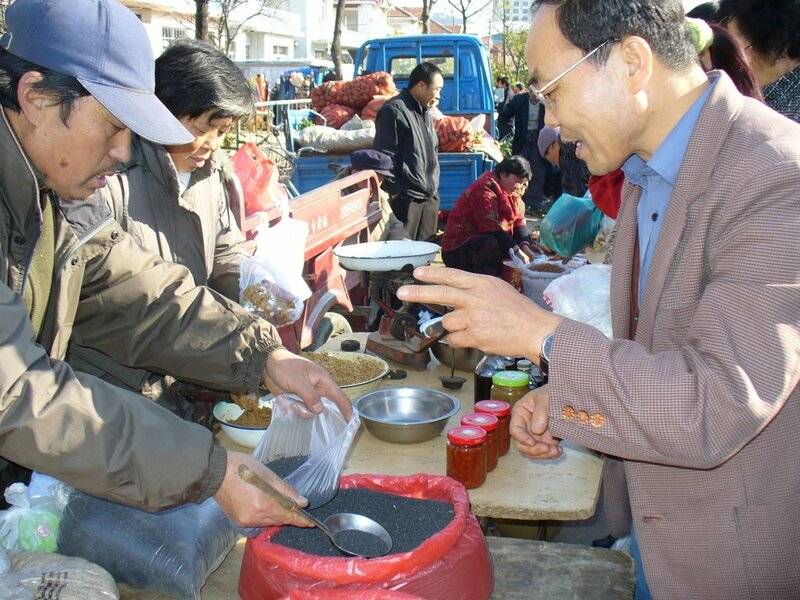 Below: James Zhang bargains for a better price on sesame seeds.